Pound the meat in a stone mortar. 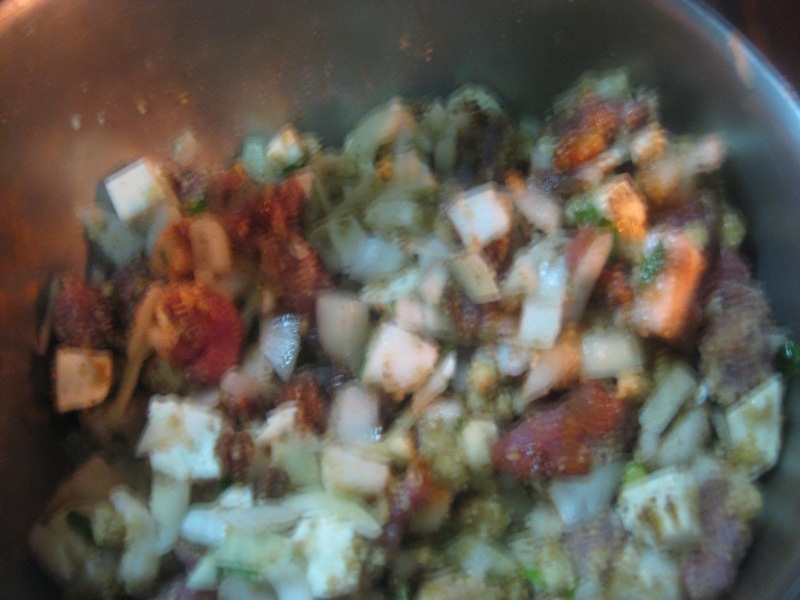 Dice the fat and add chopped onion, cilantro, coriander and cheese. Shell and peel the nuts. Grind them and add them to the above mixture and continue pounding. Add the murri and spices. Knead the mixture until all is well mixed. 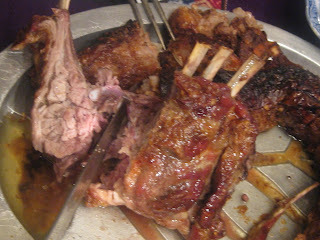 Fill lamb’s stomach or the palm leaves. with the stuffing. 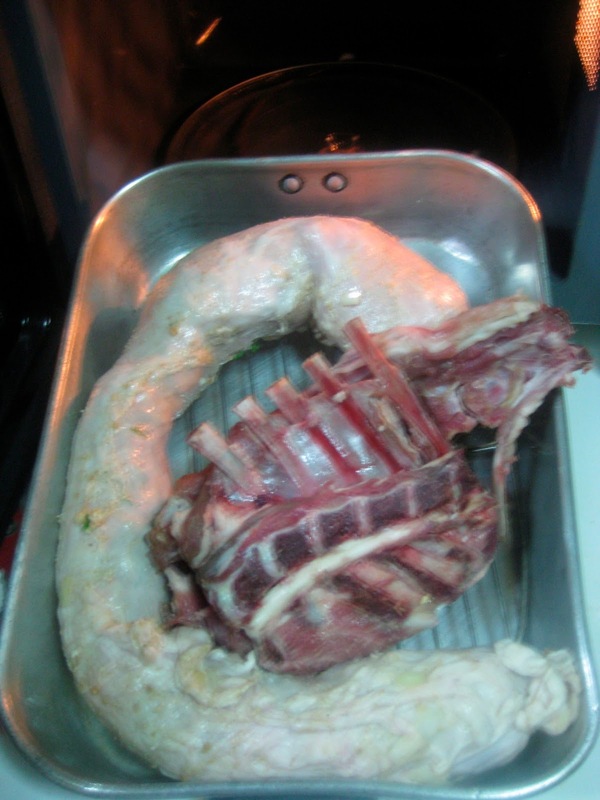 Roast covered for 1 ½ hours. Add the breast and continue roasting for ½ hour or until the meat is done. a pig stomach may be used instead.